Is it possible for a place to be cool, quaint, and hip? 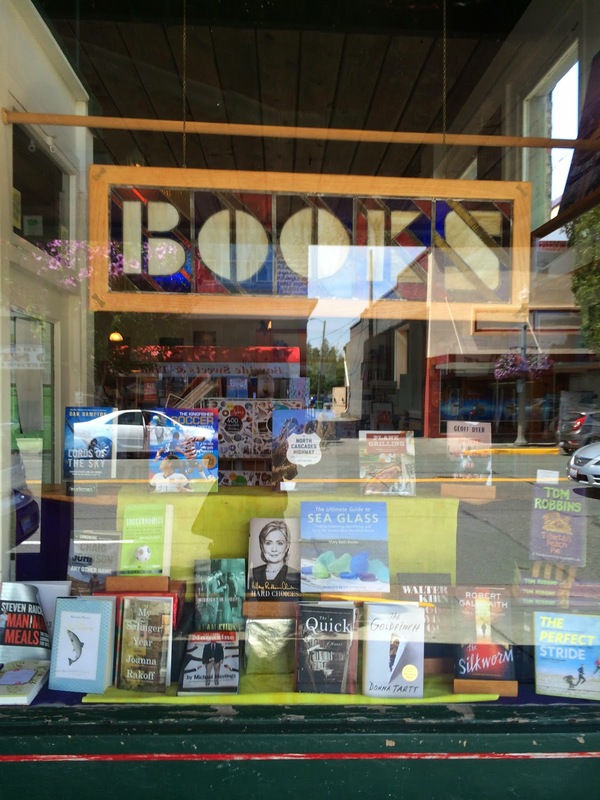 I'm not talking about Eagle Harbor Books, I'm talking about Bainbridge Island! 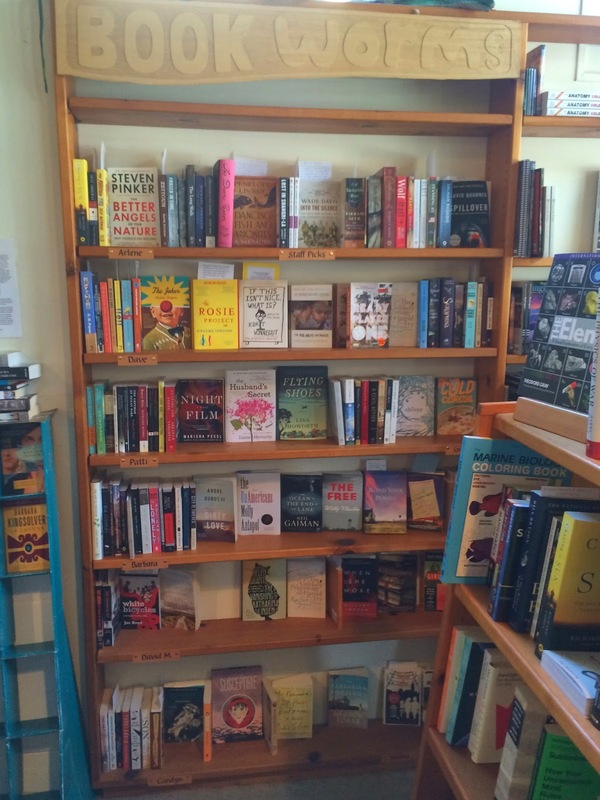 Ok, ok, Eagle Harbor Books is also pretty cool, quaint, and hip so it fits in perfectly here. Somewhere out there in the blogosphere you should be able to find a travel blog article about Bainbridge Island. When you do, this place will become a destination for you. But I'm going to make it a destination for you anyway because you have to go to Eagle Harbor Books. You can't drive here so take the ferry over from Seattle. If you don't have to drive, walk on because it is much cheaper and you can easily walk when you reach the island to Eagle Harbor Books. This place has the perfect location, on an island and no competition. The only show in town as far as book stores are concerned. Because of that, this place does a great business with local community support and also good business with tourists since the island is such an attractive destination. 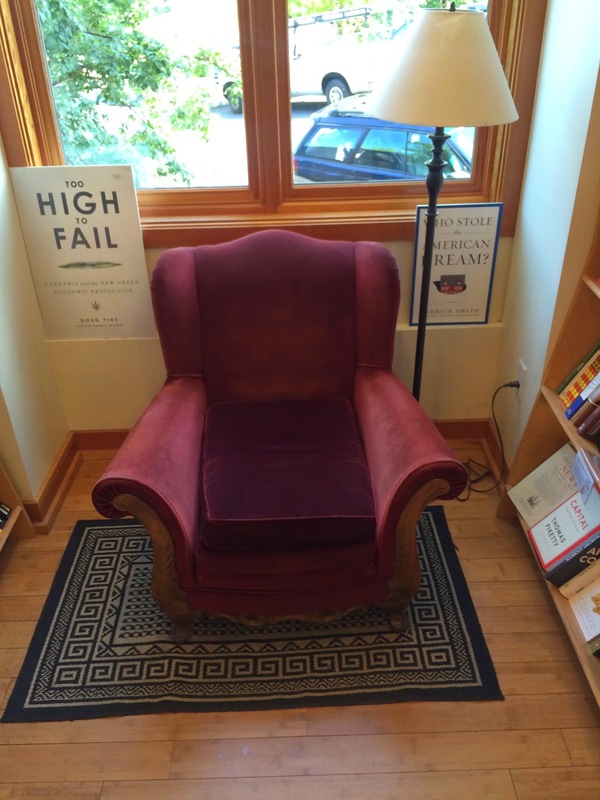 If you live on Bainbridge Island and haven't been been to Eagle Harbor Books, shame on you! I can see why this store probably has a great and devoted following of regulars. Brightly lit, lots of staff picks, lots of local authors and regional subjects. Comfy looking chairs to sit in and try out a book. I'm always glad when I see this. The children's section looks fantastic and if I were 7 years old I wouldn't want to leave there. They have used books downstairs but I didn't get to see that area while I was there because it was closed. The store is very active with book readings and events. This is clearly displayed on their calendar of events schedule. 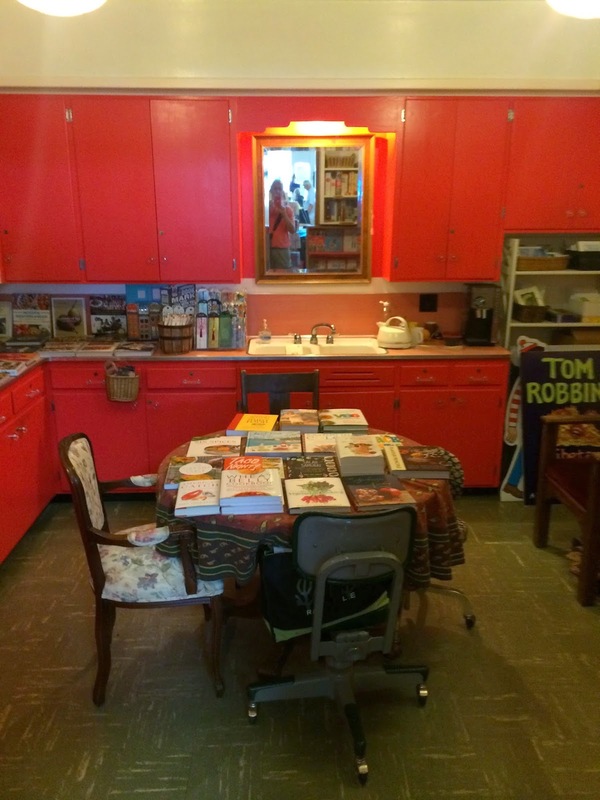 In addition to all the recent publications, you can pick up a magazine, a greeting card, or any number of miscellaneous bookstore type items. I'm so fortunate with my many visits to meet many wonderful people along the way. Tim, the co-owner, and his staff were great to talk to. 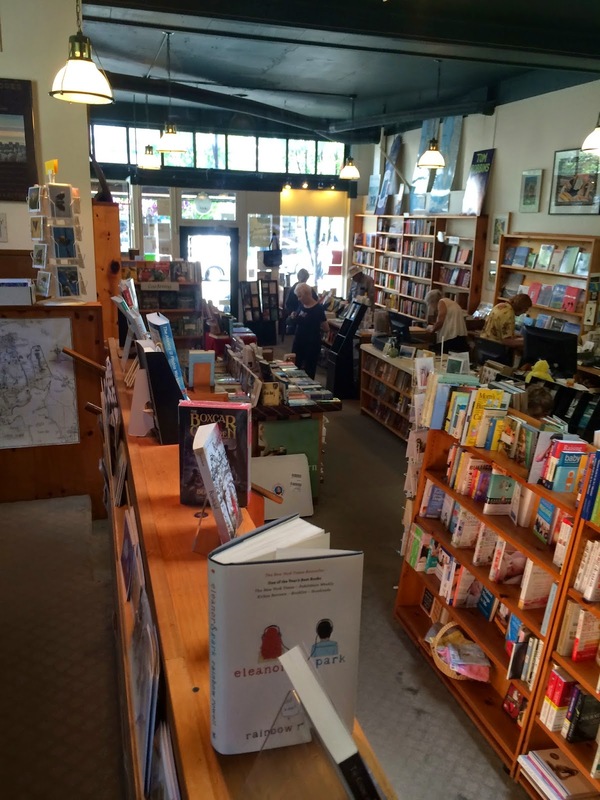 Tim has a background working with a large chain corporate bookseller but saw the light and came to this indie on Bainbridge Island. He told me that he won't repeat the mistakes of the large corporation. Say amen, everybody! 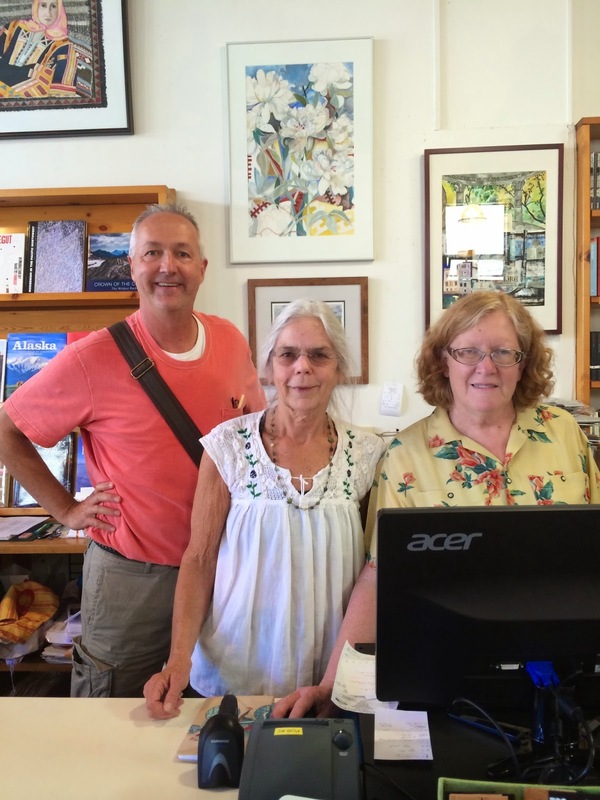 I didn't get to meet René but it is easy to see that Eagle Harbor Books is in great hands with these two and their super staff. Kudos to you, Eagle Harbor. What else? Don't pass up a stop at the Blackbird Bakery located diagonally across the street. And after that? Go to an indie and buy a book. Bonsoir. JUST FINISHED: All The Light We Cannot See, Anthony Doerr. Recommended. Worth the 500 pages. Fiction, WWII, but NOT your typical WWII novel. Really enjoyed it. CURRENTLY READING: The Supremes at Earl's All-You-Can-Eat, Edward Kelsey Moore. Liking it. RECENTLY PURCHASED: Dear Leader, Jang Jin-Sung. Non-fiction. Looks good. 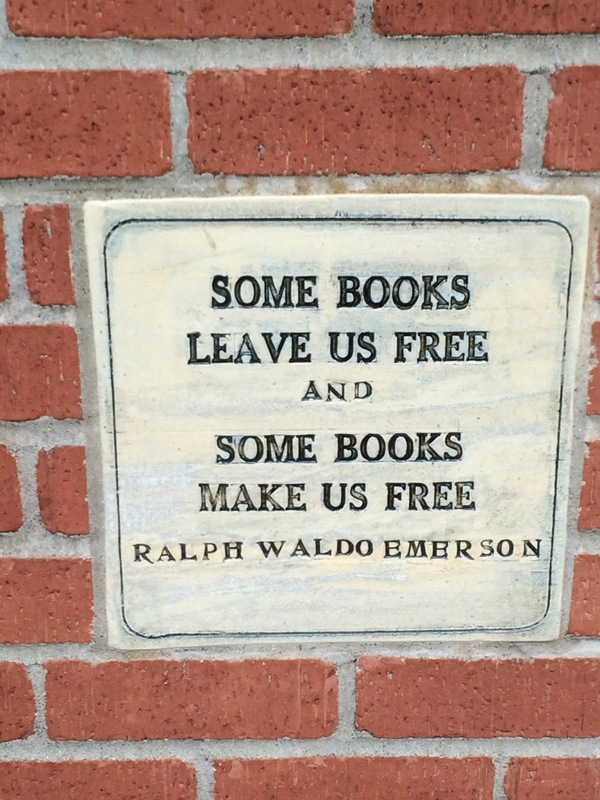 View as I approach Eagle Harbor Books. If you could see behind me you'd see the Blackbird Bakery. Right this way, follow the arrows! View to my left from front of store. View to the rear of the store. 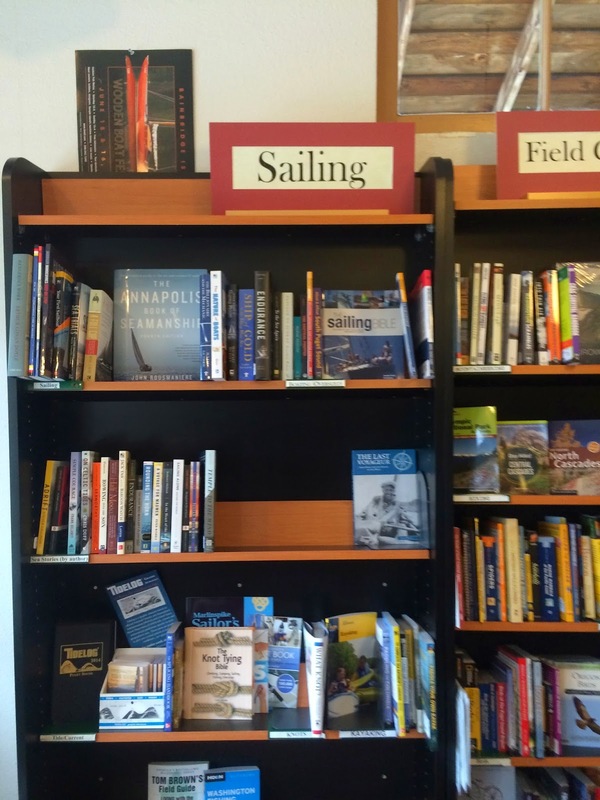 Lots of sailing books. This store is on an island. Do the math. 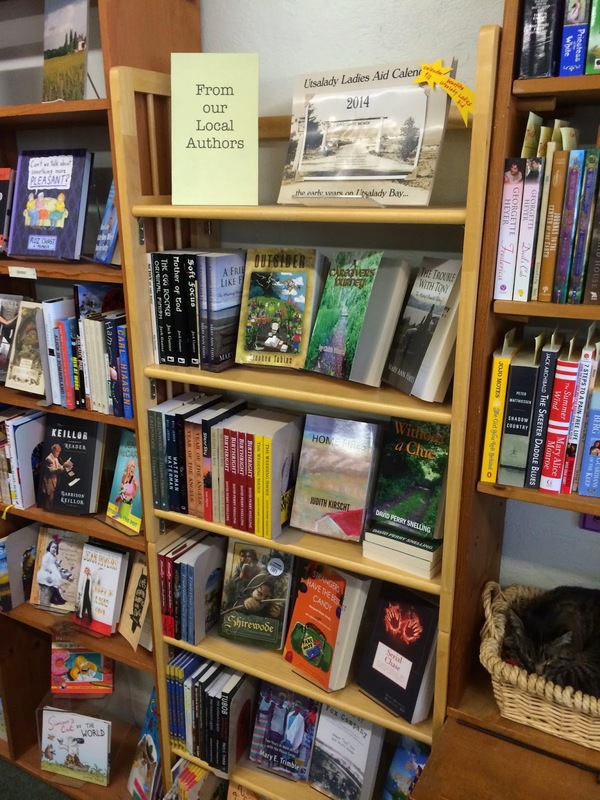 Great section of local authors and interests. Super display of staff picks. 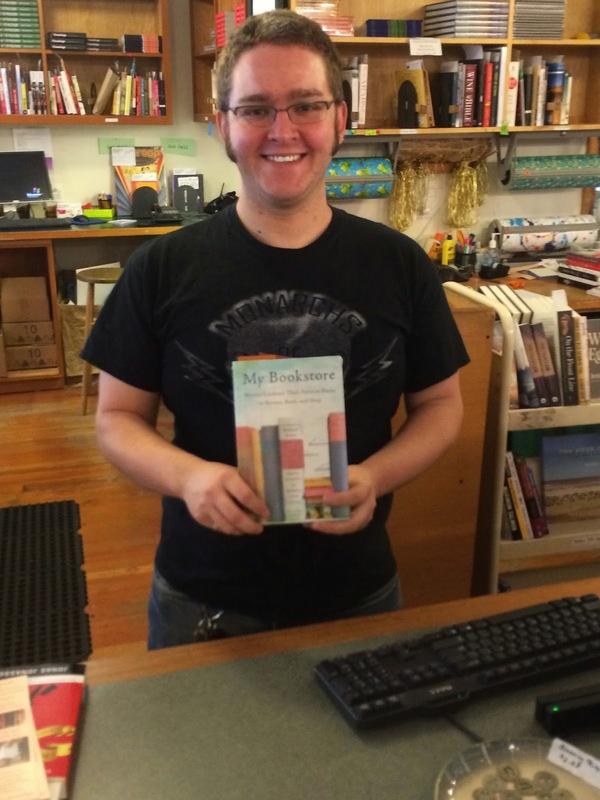 Co-owner Tim with My Bookstore, the guidebook for my journey. A frog (not a cat), surrounded by comfy chairs. Large poster size book covers are all around the store. Thank goodness for Joan, a staffer at Village Books in Bellingham. As I was sharing my story and journey with Joan she said I have to stop in Anacortes and see Patti at Watermark Books. She gave the Watermark Books a glowing endorsement and was very complimentary about Patti and her work there. What other profession or business enthusiastically shoves you to one of their competitors? I've found this to be quite common along my journey. Naturally, I couldn't resist. Smart move by me. This place is great! Located in the historic part of downtown Anacortes in a small, old building. Small, cozy one level and almost entirely books, all new. A small selection of greeting cards and a small amount of miscellaneous items, but this place is books. They have great support with the local community and when I was visiting on a Wednesday afternoon they had a steady stream of customers who were also buying. They also offer the availability of purchasing online. 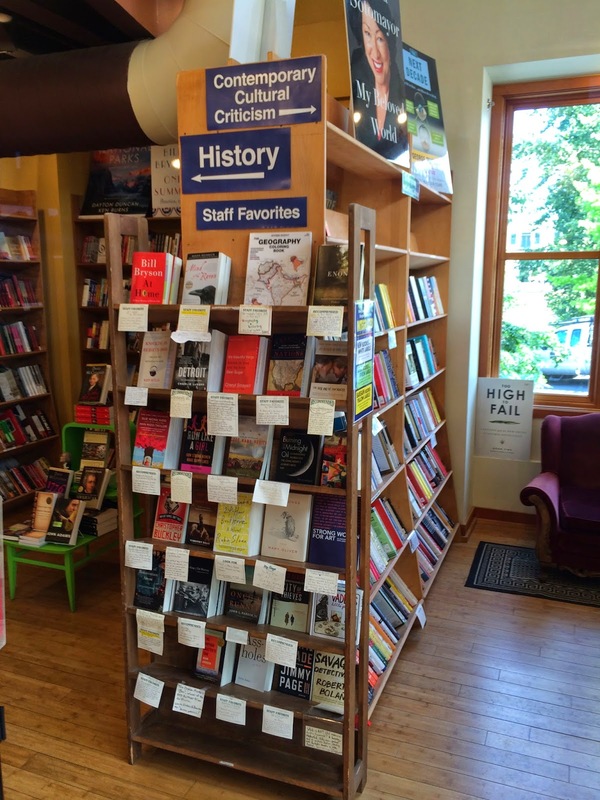 There are several shelves of staff recommendations and it looks like Patti is doing a great job with this store. As with many others, they are also active with book readings and author visits. What makes this indie unique? They hosted the America's Cup Trophy. The actual trophy. The trophy was in the store for viewing, as if at an altar (I see the glaze in some of your eyes. This trophy is for sailing). But sadly, no cat. I told Patti, kiddingly, I was disappointed. She beamed that they used to have two beagles until they died. WOO HOO my first indie with dogs! Kind of. Patti wrote a great quote in my book that I take on my journey. "Thanks for spreading the important words about the need for brick and mortars! We not only have bathrooms, but we also have attitudes, advice, experience, and taste!" I couldn't have said it better. Well stated, Patti. Check this place out readers, you're going to love it. Go to an indie and buy a book. Bonsoir. CURRENTLY READING: All The Light We Cannot See, Anthony Doerr. It's great! RECENTLY PURCHASED: A Civil Action, Jonathan Harr. Looks like a good thriller. View from the front of the store upon entering. What you see is what you get. 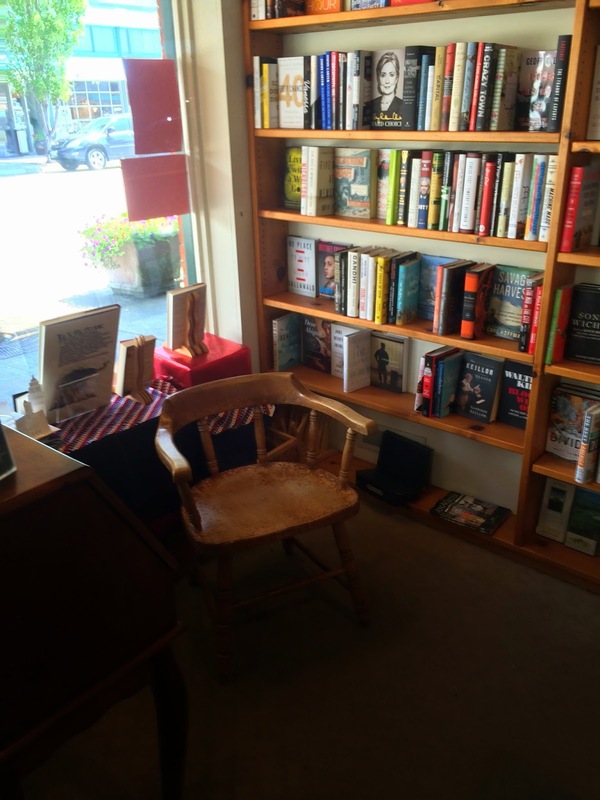 A great place to sit and try out a book in the front of the store. L-R, Chip a local customer who told me about the America's Cup, Barb a staffer, and Patti the fine owner. Before this was a bookstore, this building was a gathering hall of some sort. This was the kitchen back in the day. Now? The kitchen theme remains. Look in here for all books about cooking. Another great spot to try out a book. Standing on a raised level near the rear of the store looking toward the front door. You can see Patti and Barb on the right. 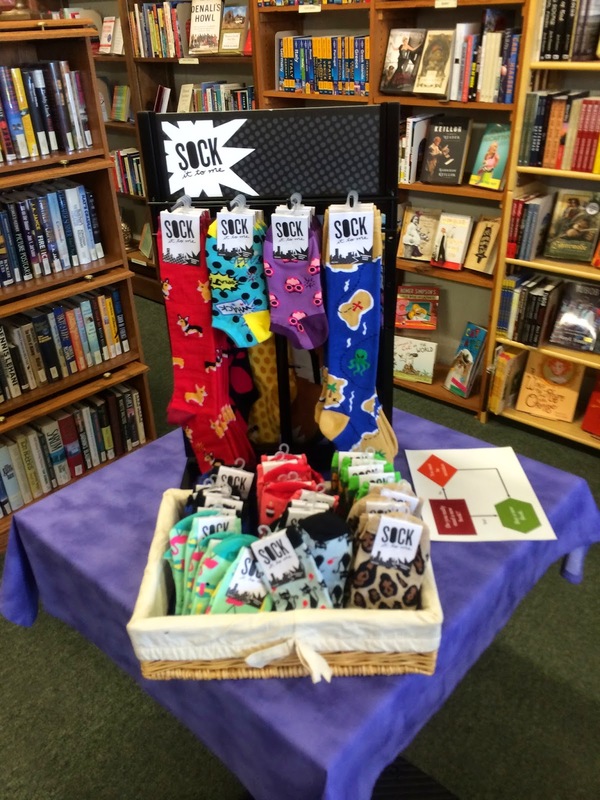 Another creative display for staff picks. Scroll back up and you can see this painting on the side of the storefront. 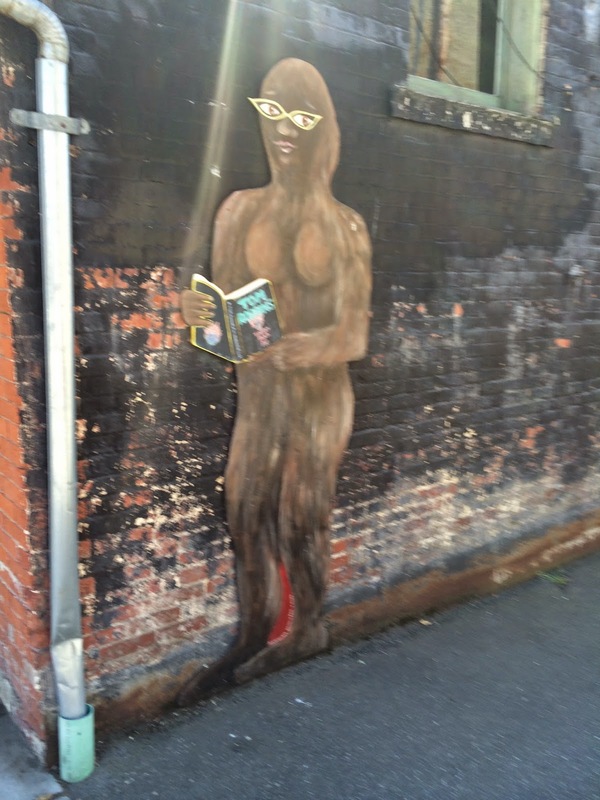 The Sasquatch is holding a book that is current. This painting is altered periodically and the book she's holding changes. Very cool. Fun facts from the Snow Goose Bookstore! These are the kinds of things you learn from great indie owners like Kristine and Tom. Where else could one learn these things? All of us have that unread pile (or piles) of books and everyone has their own organizational system. Here in the Pacific Northwest, Kristine is concerned about her piles for safety reasons. It is advisable here in an earthquake prone area to not stack books next to your bed higher than head level, thus preventing injury from falling books during an earthquake. Depth and number of piles? No problemo. Pile height? Below the head. For you grade school kids, let me offer a rhyme to help you remember this safety tip, "when stacking books beside your bed, never stack above your head." Also from Kristine, we were discussing two non-fiction books, Unbroken and The Boys in The Boat, that both had a connection to the 1936 Olympics in Berlin. One of the regular customers at Snow Goose was actually in attendance at those olympics. She was there when she was 4, has some recollection, but probably moreso through her parents and their stories as she became older. Where else could you hear stuff like this besides a great indie? But I digress. 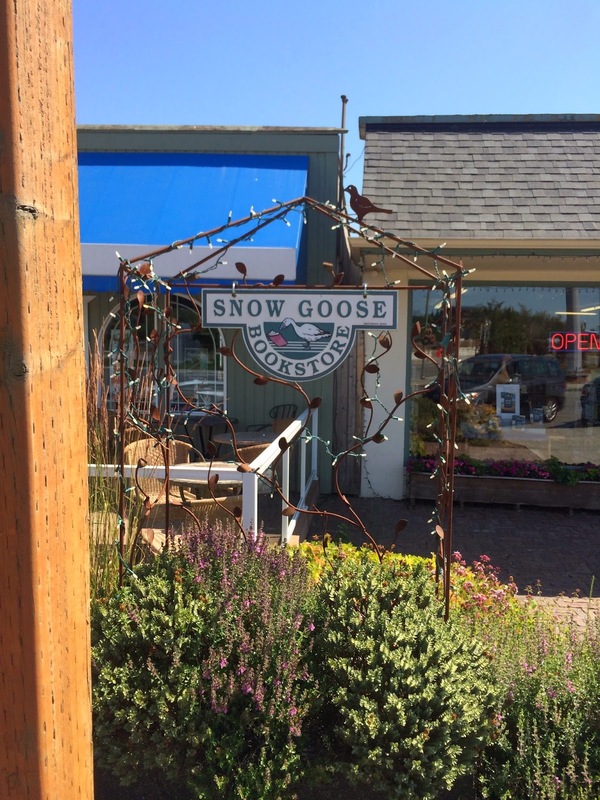 The Snow Goose is a small, quaint indie in a small Washington town. I worry about survival for an indie here but Tom and Kristine say they have a decent population base for great local support. They also draw from the many tourists who have a home here during the summer season. 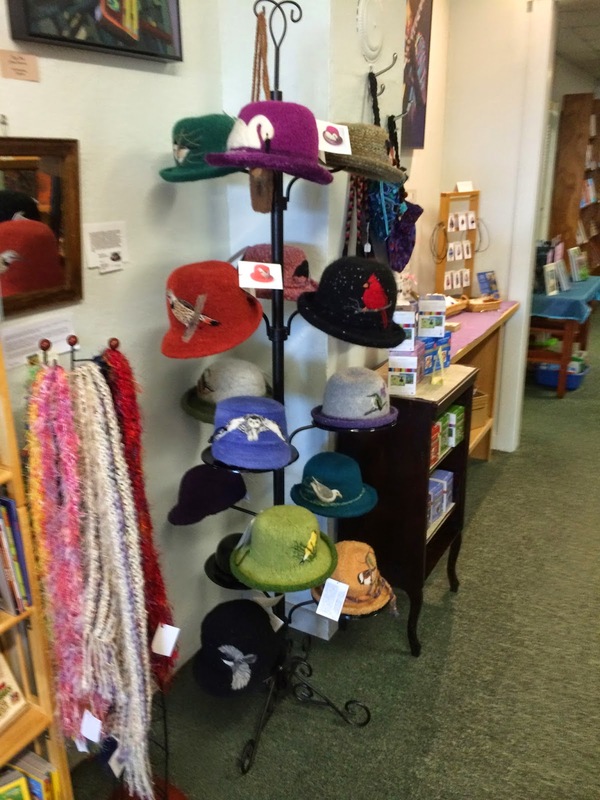 In addition to a great selection of books they have greeting cards, socks, fashion hats, local art works, locally made jewelry, and a few other small items of interest. It really is a number of these extra items that help the indies continue to stay in business. 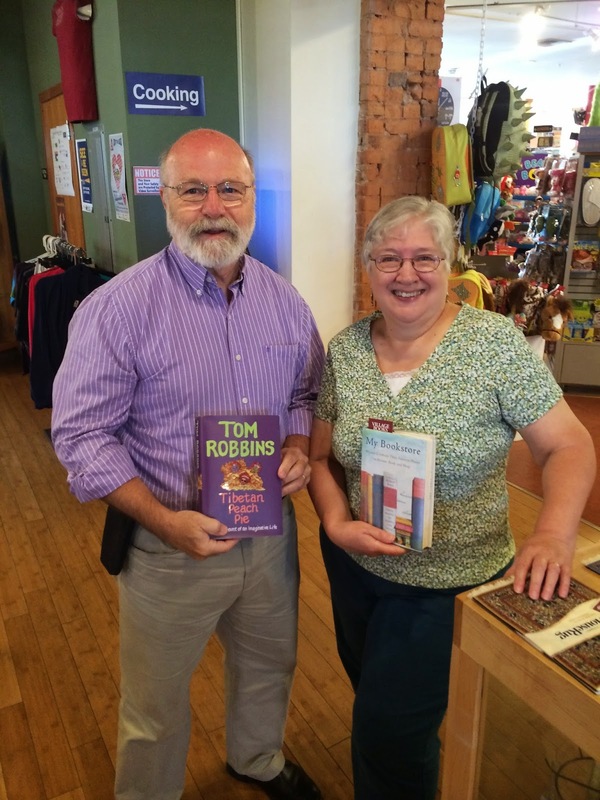 As with so many other indies and their owners, Tom and Kristine were absolutely wonderful to talk to. Such a great fringe benefit of this journey I'm on. Their eyes are wide open to the reality of their survival but they have it together and are doing fine. Unfortunately, they don't have a live snow goose wandering the store but of course they have a CAT, Jenny. She came on "staff" about a year ago. Do you think stray cats just wander until they find an indie to hang out at?! 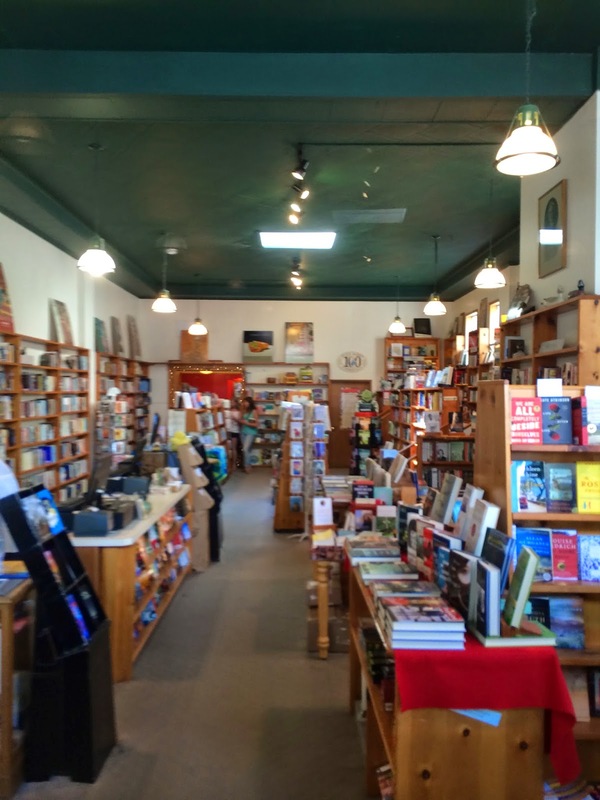 When you get to the Pacific Northwest, enjoy the wonderful scenery and enjoy at trip to a hidden but great little independent bookstore in the hands of two super people, Tom and Kristine. Go to an indie and buy a book. Bonsoir. TIBS UPDATE: Readers, I'm not sure how you all access this blog but if you have access to social media you can like The Indie Bob Spot on Facebook and you can also follow The Indie Bob Spot on Twitter. However you access, thanks as always for reading. CURRENTLY READING: All The Light We Cannot See, Anthony Doerr. Highly recommended by everyone I've visited. RECENTLY PURCHASED: The Truth About The Harry Quebert Affair, Joel Dicker. This is huge in Europe and has recently been translated to English. We'll see if it is as big on this side of the pond. Outside the Snow Goose on a great day in Stanwood, WA. What you see is what you get. This is the view inside the front door. Front window display with the snow goose. This is Jenny. Kristine and Tom were hoping she could step up and start doing more for the store on the internet. It appears her talents are more suited to taking breaks than IT! Pick out a hat to go with the socks you'll be buying. Actually, they DO have snow geese, they just aren't alive! 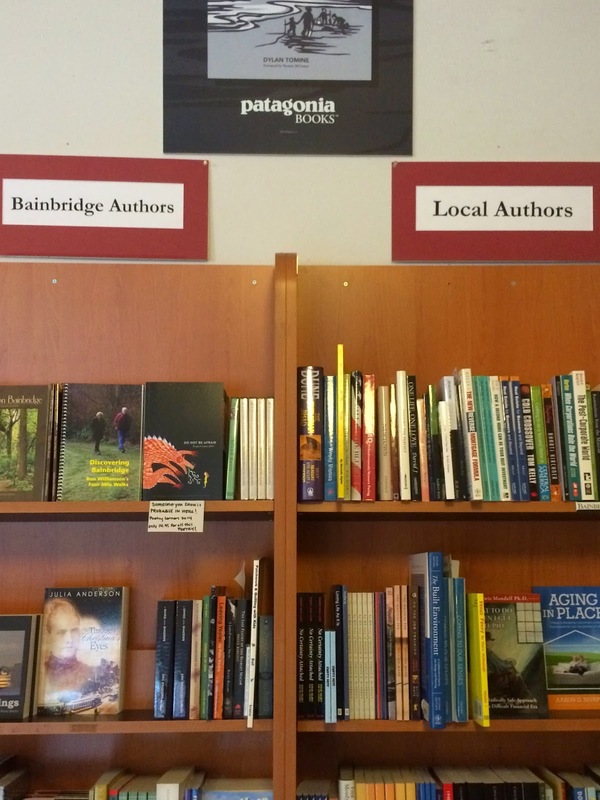 Great display promoting the local authors and the region. (Tom & Kristine, please note that Jenny is still on break in the lower right hand corner of this photo). Jewelry from local artists that you'll need with your hat and socks. 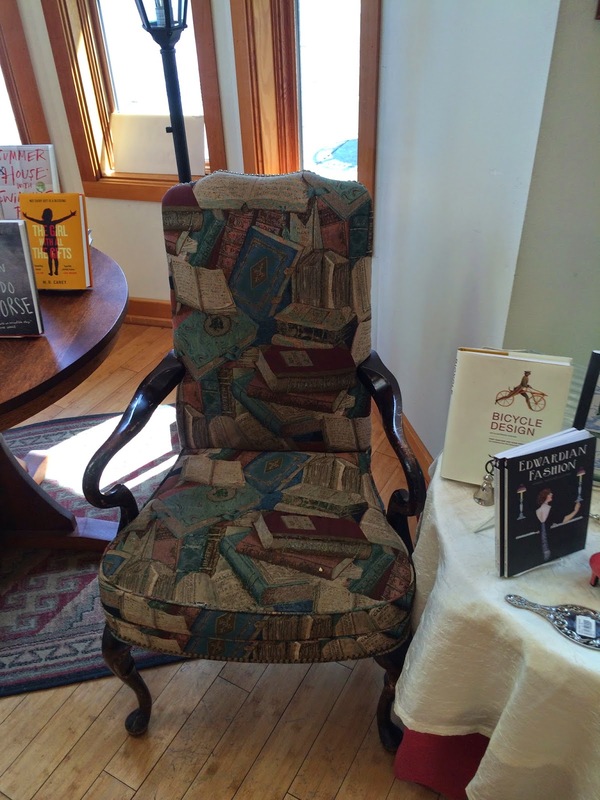 Two great chairs to sit down and try out a book. Tom & Kristine, the owners of the Snow Goose. Yours truly with Tom and Kristine. This should be posted in every indie! Follow the directions, people! As I progress on this journey of independent bookstores, I've often mentioned the wonderful people I've had the good fortune to meet. 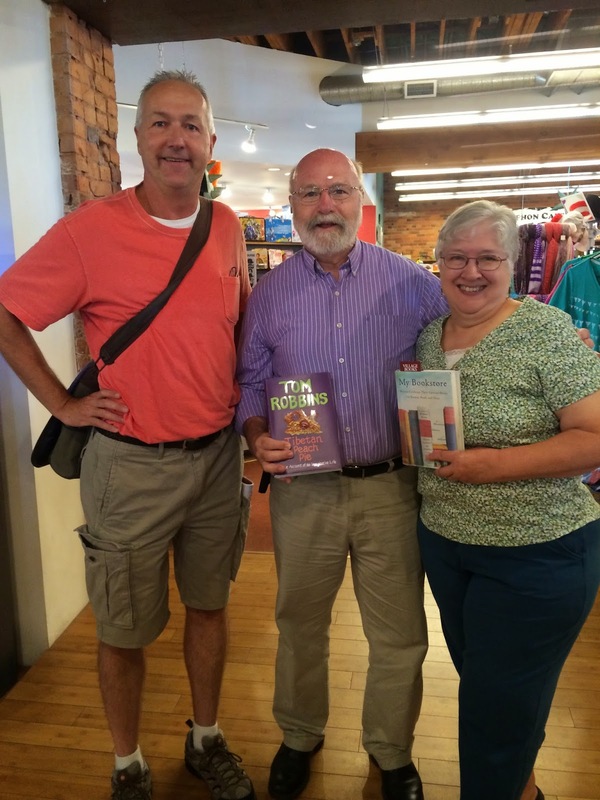 Then I visit a place like Village Books in Bellingham and meet Chuck and Dee Robinson and a few of their staff who are not only wonderful people to visit with but truly seem like kindred spirits of sorts. Conversation as comfortable as your favorite worn-out slippers. Maybe it was the fact that they all have midwestern roots in their backgrounds? Heck, Dee was born in the same county in Iowa as my dad. Small world. It always seems so easy for midwesterners to strike up a conversation as if they're resuming something they started at anytime in the past. Chuck and Dee the owners, Paul the manager, and Joan a staffer. They were all very gracious, patient, and extremely accommodating of their busy schedules to visit with me about their bookstore and indies in general. 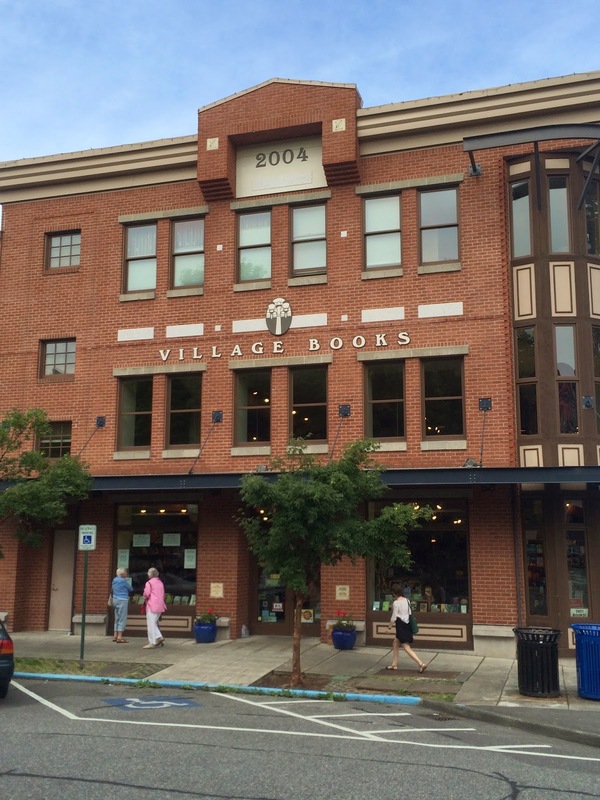 What about the Village Books Bookstore? 5 stars all the way just like the people who work there! Village Books offers new and used books, lots of children's stuff that looked terrific, some magazines, all on three levels. A book buy back program seems to be the norm in most indies. If some out there don't have this program, I would strongly encourage it if it is logistically possible to do so. Upstairs there was a cafe with plenty of seating and a great view. There are also lots of great places to sit on any level to relax and sample a book. 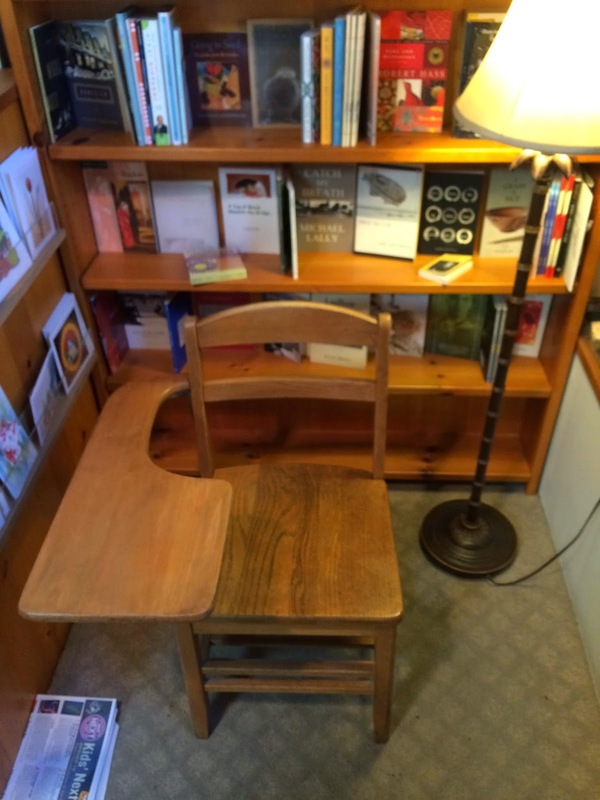 There is a great area downstairs for book readings by authors, something Village Books is very active with. It appears that Village Books is enjoying a successful business and this is due in large part to great community support along with great ownership and management. 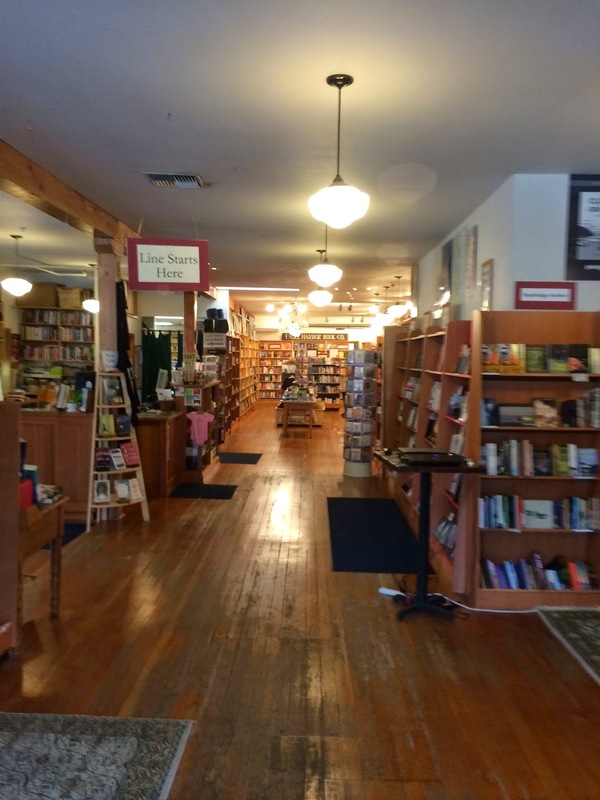 When Village Books moved from a previous location to their present location, 300 local volunteers stepped up to transfer the contents to the new store and Village Books was able to continue operation without missing a beat. Clearly, this indie marches arm in arm with its community. When you visit Village Books you should make one more stop. Check out Rocket Donuts at the other end of the block. Unless you're on a diet. And jog there so you won't feel so guilty about what you eat. As for the bookstore, I cannot recommend it highly enough. Go and talk to the people, don't rush, and savor this wonderful atmosphere that included great classical music in the background while I was there. They gave me some great recommendations and you know what that means? Go to an indie and buy a book. Bonsoir. JUST FINISHED: The Rosie Project, Graeme Simsion. Loved it. A Sheldon Cooper character in a Disney romantic comedy. 5 stars. CURRENTLY READING: All The Light We Cannot See, Anthony Doerr. Everyone I visit with is raving about this. Haven't met anyone who doesn't like it. So far so good. RECENTLY PURCHASED: All The Light We Cannot See, Anthony Doerr. See above and you'll know why it butted in line in front of all the other books waiting their turn. Outside of store, no explanation needed. This is what you'll see when you walk in the front door. 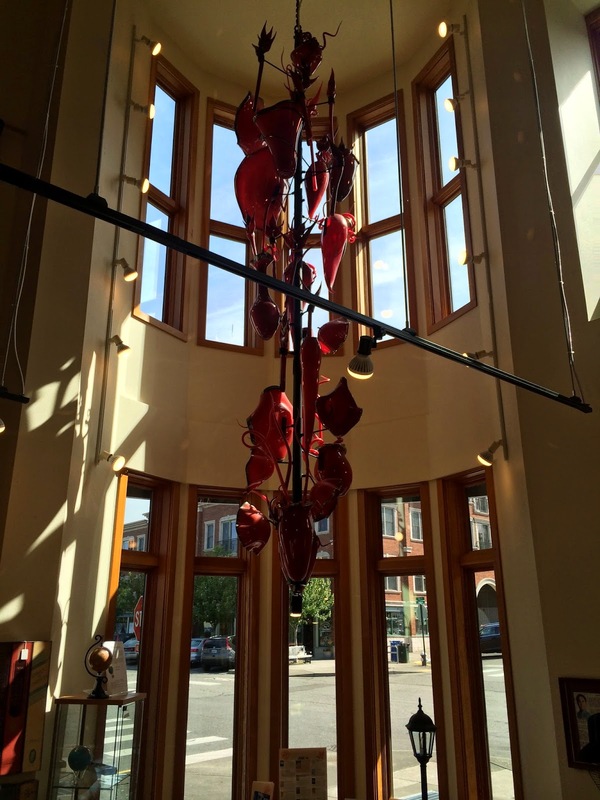 Cool area with a hanging sculpture, looking out onto the front corner of store. A great seat to try out a book. I always enjoy seeing the staff favorites displays. A comfier chair. Wake me when it's time to go! 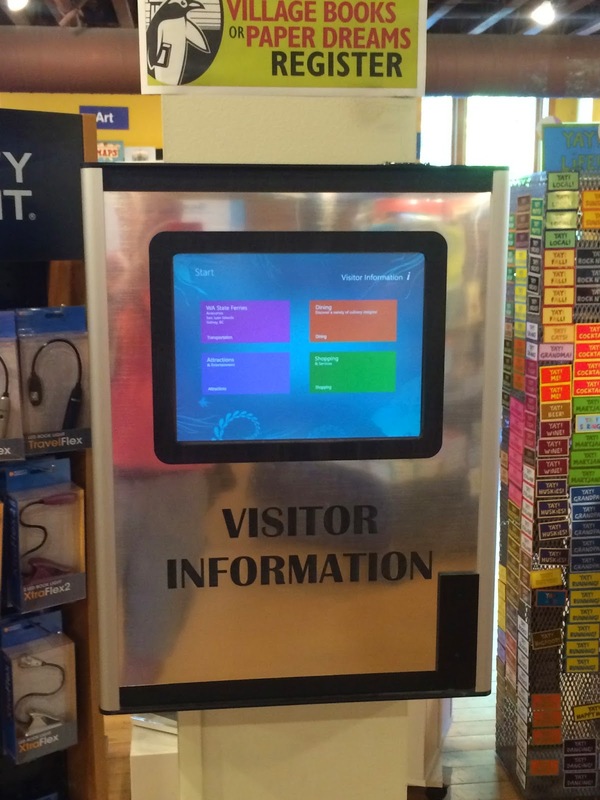 A nice interactive kiosk to help customers find what they're looking for. Staging area downstairs for author readings and visits. A great cafe on the upper level. Looking down from the upper level to the front of the store. The front door is directly to the right. Dogs allowed in the store and here is the photographic proof. 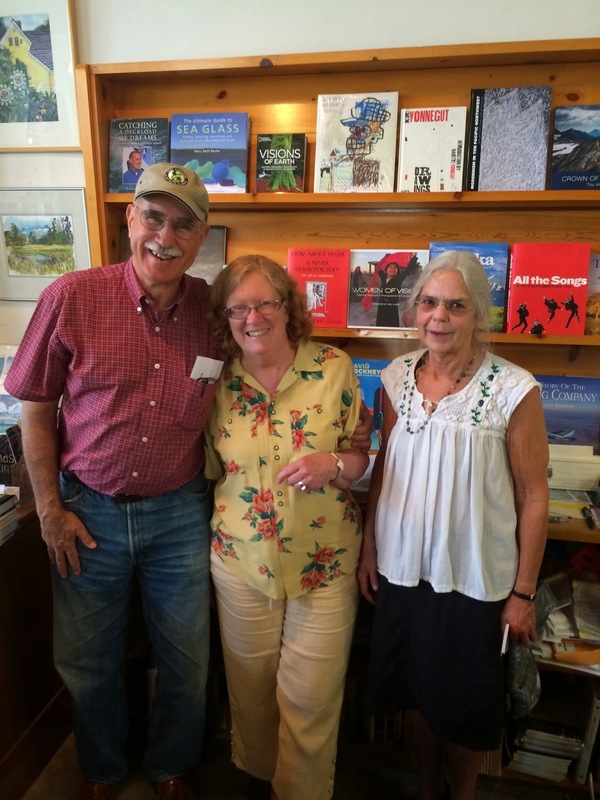 Chuck & Dee Robinson, the wonderful owners here at Village Books. Yours truly with Chuck & Dee. Paul, the manager on the left with Dee & Chuck.